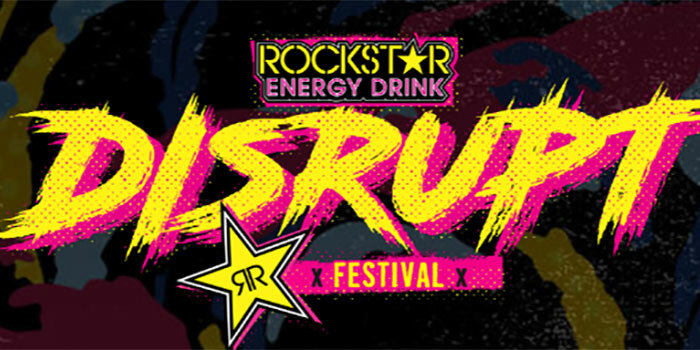 Featuring some of the biggest bands in rock as well as the genre’s rising stars, The Rockstar Energy Drink Disrupt Festival is a brand-new music experience making its debut across North America this summer. The touring festival will feature unique line-ups in each city, with performances varying from artists including The Used, Thrice, Circa Survive, Sum 41, The Story So Far, Atreyu, Sleeping With Sirens, Andy Black, Four Year Strong, Memphis May Fire, Trophy Eyes, Meg & Dia, Juliet Simms and Hyro The Hero. The 25 city rock roadshow of the summer will kick off June 21st in Dallas, TX at the Dos Equis Pavilion and make stops in Austin, Atlanta, Toronto, Denver and more, before wrapping July 28th in Albuquerque, NM at the Isleta Amphitheater. Fans will be immersed into a full-day interactive experience where they will not only be able to see some of their favorite bands live, but will also be exposed to the latest in lifestyle brands and pop-up activations. The entire festival will take place across two incredible stages, allowing fans to experience all of their must-see artists in one rock-filled day. Fans who bring any empty 16 ounce can of Rockstar Energy Drink to recycle at the main gate will have the opportunity to skip the line and be entered to win a signed festival guitar and exclusive meet and greet with festival headliners. Tickets for Disrupt will go on sale beginning this Friday, March 29th at 10 am local time. A full list of dates and ticket links can be found at rockstardisrupt.com. Citi is the official pre-sale credit card for the tour. As such, Citi cardmembers will have access to purchase pre-sale tickets beginning Tuesday, March 26th at noon local time until Thursday, March 28th at 10 pm local time through Citi’s Private Pass program.